Our Multi-Disciplinary Draughting National Certificate is one of the best, and most popular qualification for a draughtsperson. It is the most recognised draughting qualification in the industry as well as the pre-requisite for any further studies in draughting. It will introduce you not only to the fundamentals of draughting but also your draughting software tools and numerous draughting disciplines such as architectural, mechanical, structural, process plant and many more. This qualification will also prepare you for the MDDOP N4/N5 national examinations from the Department of Education. This qualification will consist of 9 multi-disciplinary, cross - industry subjects that will include specialised, industry market-driven subjects such as building, mechanical, structural, electrical, process plant and others. This multi-disciplinary approach provides a wide range of occupational options for optimal job market compatibility as it does not limit the student to a single discipline. It also allows the learner to choose a preferred specialisation early on in their career. The qualification integrates up to ten internationally recognised CAD software courses, accepted by industry at the value of thousands of Rands, a critically advantageous consideration for any employer when considering new draughtspersons. We utilise industry leading CAD/CAM/CAE software including Autodesk, Solidworks, ArchiCAD and SketchUp ensuring that you are educated in theory as well as the industry used CAD software. 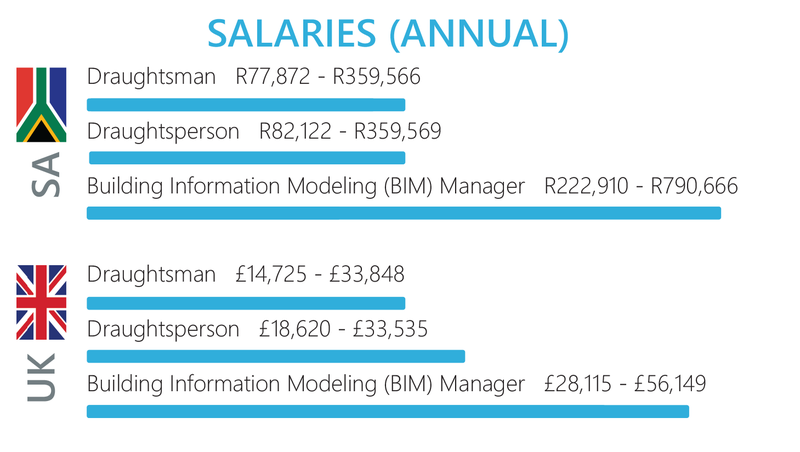 Scarce industry skills such as Project Management and BIM Management was added to further maximum employment success. Students can also participate in an optional practical programme where they will learn the design to manufacturing process. No drawing subject at school? You can still apply but you must go through our Technical Bridging Course (LEARN MORE>) first, done 1 week prior to the start of the draughting qualification. National Diploma: Architectural Technology NQF5 at first year level. National Diploma: Structural Steel Detailing NQF5 at first year level. USB 64GB with all required software applications. both locally and internationally recognised by industry for maximum employability. Please note that you are required to have your own computer. Should you not have one, we can supply you with a laptop as part of your package. Please note that additional costs will apply. The below shows the recommended specification. During this part all students will learn draughting techniques in various different industries as well as a array of industry recognized and utilized software. The below diagram explains the industries and software. With Virtual Reality becoming one of the fastest growing fields in the game industry we believe no gaming course would be complete without introducing the student to the specific requirements and nuances of designing for this interface. 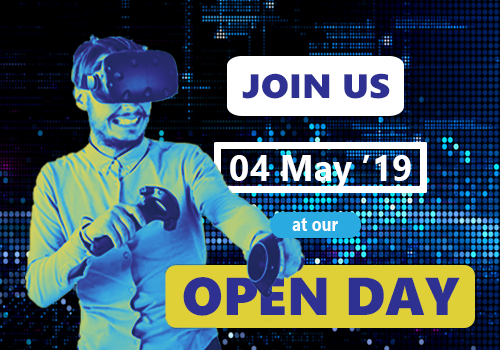 Our VR module is a standalone course that will not only introduce the basic concepts of VR but also expose the student to some of the fields beyond gaming where this is being applied and the specific needs of working in those industries. * Please note that The AIE retains the right to change the structure of the course as and when needed. During this part each student will choose a specialized industry in which they would like to focus on. We cover more CAD applications specific to each industry as well as additional subjects like project management and BIM management. * Please note that AIE retains the right to change the structure of the course as and when needed.